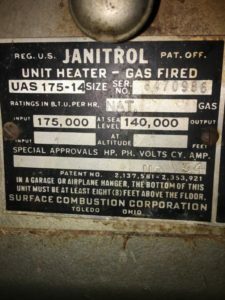 Sometime back in November 2015 we received a request to “Help in determining the Date of Manufacture” of this old Janitrol Unit from Dave G. out of Colorado. Here is a sampling of our determination, along with photo’s. 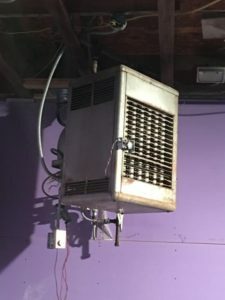 V/3.4A – It has been running great, but I just lost the Honeywell 120V (magnetic) gas solenoid, I was able to find a modern replacement though. – Curious as to its age. 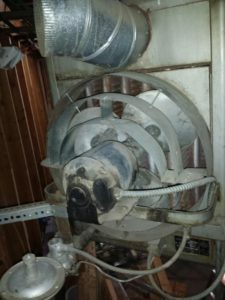 It has a Wagner fan motor. Everything looks original. I added limit switches to it almost 30 years ago. 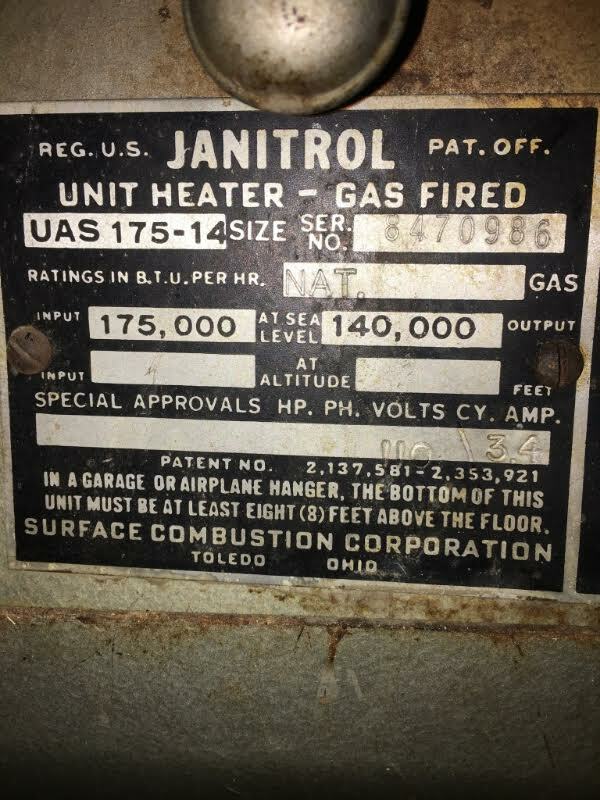 This model and serial appears to pre-date any of our resources for Janitrol. However….Thank you for the great photos! Unfortunately we cannot place a precise date of manufacture on your unit. However, we can narrow down to an era which predates 1963. Minneapolis-Honeywell officially changed their name to “Honeywell Inc.” in 1963. 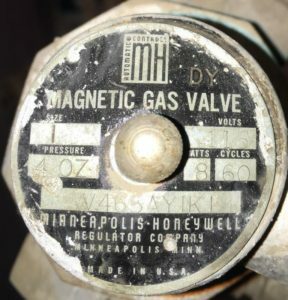 Because the magnetic gas valve bears the name “Minneapolis-Honeywell” and the fact the data labels on the unit/components bear “OHIO” and “MINN” rather than the 2-letter state abbreviations also indicate pre-1963 manufacture. 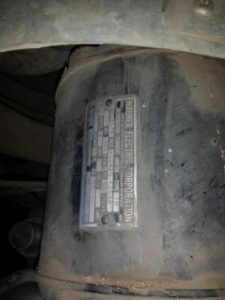 The Wagner Electric Corporation motor also appears to predate this company’s acquisitions which occurred in the mid 1960’s when they first were acquired by Tungsten-Sol Electric, Inc. and later merged the next year with Studebaker Corporation. The Wagner brand is now only known for its automotive lighting and brake components under the Federal-Mogul Motorparts group. If we had to narrow down further, we’d estimate manufacture between late 1940’s to 1963. Some of our sources indicate that the 2nd-3rd digits of early Janitrol serial numbers represent year of manufacture, but this has not been confirmed and should not be considered reliable.